Everything You Want is on the Other Side of … Sugar? Now, all my life I’ve loved sugar and the sweet foods that contain it. And in a very real way, I think a life where you couldn’t enjoy an ice cream cone, or a birthday cake, or a piece of chocolate would be sorely lacking. That said, I’m enjoying feeling better than I’ve ever felt in my nearly 34 years and it’s because I’ve left one thing behind (you guessed it). I should say almost behind. I’m allowing myself half a cookie and one shared dessert from our local Italian restaurant each week. 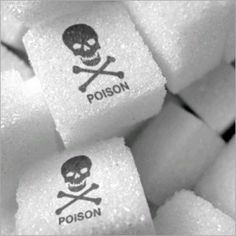 But gone are the sodas, the candy bars, and everything at home with refined sugar (honey and fruit juice are okay). I had thought for most of this year (a big one for change and living my dreams) that sugar and fast foods were holding me back. Though I knew I sounded paranoid, I wondered to myself if living my dreams was impossible as long as I was ‘high’ on sugar. Peace of mind. Seriously. I feel much calmer and more in control now. Also, before I would feel like I was always looking for the next ‘hit’ and never quite getting enough when I did. Now, I need nothing to feel complete. A happier body. It’s only been one month by already I feel more healthy in every way. I’m stronger, don’t lose my breath or feel my heart pounding, and everything seems more aligned and functional. Slimmer. The pounds are disappearing. So, to anyone who eats pretty well except for sugar and wants to know how to lose their extra weight, I can tell you — no sugar and cycling (did you ever see a fat cyclist?). Freedom. Oddly, since I can’t eat any sugar, that means I’m free to go anywhere without needing a ‘treat’ when I get there. I’ve lost interest in fast food. It was the strangest thing; as soon as I knew I couldn’t have a sweet tea or big soda with my meal, suddenly that fried chicken, hamburger, etc lost a lot of appeal. I think I might have really been looking for a sugar hit all those times I thought I wanted fast food.